James M. Zimmerman is a partner in Taft’s Business and Finance Group and co-chair of the firm’s private equity and venture capital practice. He represents businesses, entrepreneurs and investors on a range of matters, including financing transactions, mergers and acquisitions, securities offerings, technology licensing agreements, and stock options/executive compensation. 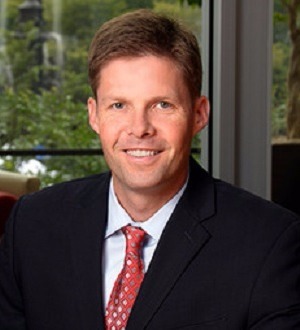 James serves as outside counsel for numerous startups and growth companies, and represents private equity and venture capital groups in fund formation and investments. He also has significant experience leading complex financing and M&A transactions. In addition to his legal practice, James plays a leadership role in several community organizations and initiatives. He is a co-founder of Cincinnati Innovates, a regional innovation competition that has received hundreds of entries and awarded hundreds of thousands of dollars in prizes since its creation in 2009. James also is general counsel to Cintrifuse, an organization formed in 2012 by several of the largest organizations in Cincinnati to coordinate and catalyze the Cincinnati region’s innovation ecosystem. James serves on the board of the Greater Cincinnati Venture Association, Breakthrough Cincinnati and The Circuit, and on the finance and investment committee for ArtsWave. He is actively involved with The Brandery, a Top 15 seed stage business accelerator. He is a frequent speaker on entrepreneurship and venture capital.